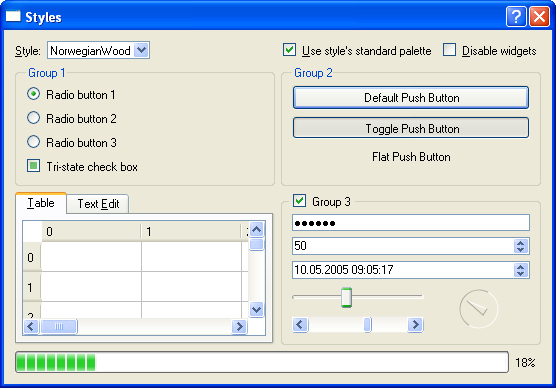 The QWindowsXPStyle class provides a Microsoft Windows XP-like look and feel. Warning: This style is only available on the Windows XP platform because it makes use of Windows XP's style engine. Most of the functions are documented in the base classes QWindowsStyle, QCommonStyle, and QStyle, but the QWindowsXPStyle overloads of drawComplexControl(), drawControl(), drawControlMask(), drawPrimitive(), subControlRect(), and sizeFromContents(), are documented here. See also QMacStyle, QWindowsStyle, QPlastiqueStyle, QCDEStyle, and QMotifStyle.